Cool Cat casino no rules bonus codes are some of the most wanted by experienced casino players. Why? Because this type of bonus holds NO WAGERING requirements and no max cashout limits. That means – you roll over your deposit and bonus just ONCE and whatever you win, it’s all yours to keep! Bonus, however is not cashable, that means it is added with your deposit and when you request a cashout – it’s removed. But still, great option, when you compare with a regular bonus, that holds a minimum 20x to 30x playthrough requirements. 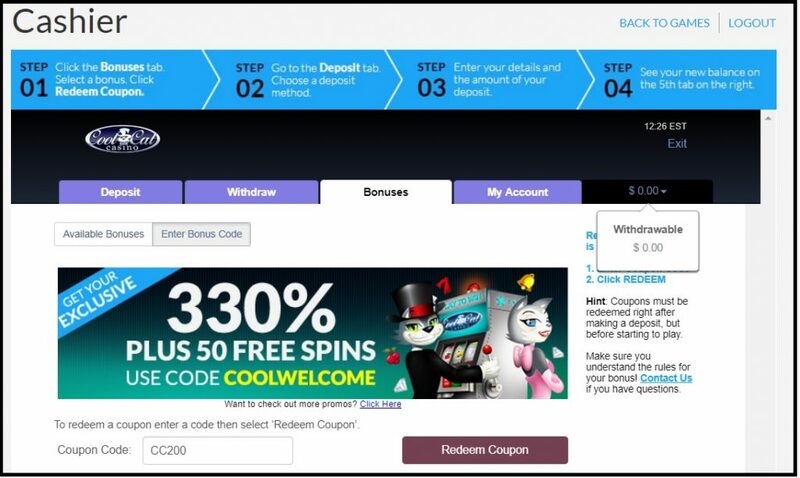 How to redeem Cool Cat’s casino no rules bonus codes? See the new balance – exit casino cashier to start playing. 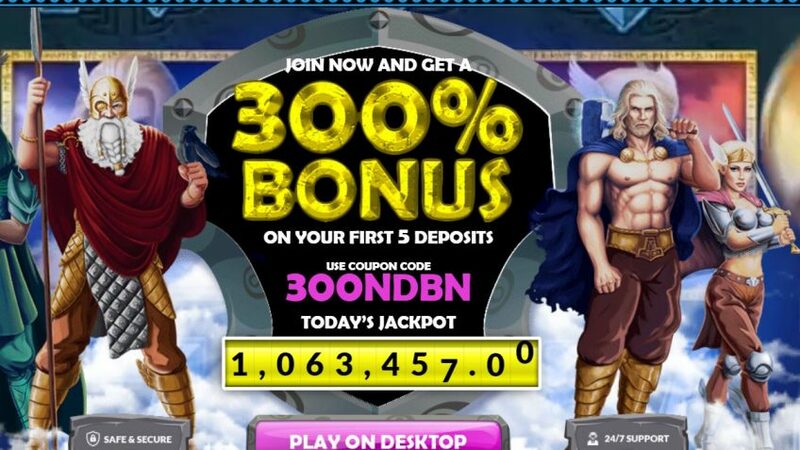 How to deposit and withdraw your winnings at Cool Cat casino? The deposit method you choose determines how your money will arrive when you withdraw, except for cases in which you have deposited using a credit card. Withdrawals cannot be paid back to your credit card. However, whenever possible your winnings will be sent by the method you prefer. Most popular among cashout options are Neteller, Bank Wire or Bank checks. Minimum withdrawal for Bank wire is $200. Minimum withdrawal for Bank checks is $300. Express withdrawal: Players who make a withdrawal of $200 or less or do not use any match bonus or winnings from free bonus chips are entitled for express withdrawal – withdrawal requests will be reviewed and approved, or denied, within 3 business days of your request and sent to you with 10 business days. Standard withdrawal: 10 -15 business days for approval + 10 business days for payment. Note: Always check Cool Cat casino no rules bonus Terms and Conditions prior placing any real money bets directy with the casino.